Monday, May 30, 1859.Springfield, IL. 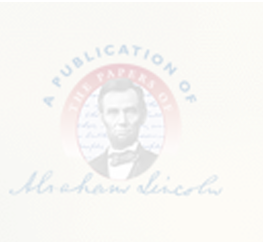 Lincoln becomes owner of German newspaper and draws contract with Theodore Canisius for its management. Recognizing that "Illinois Staats-Anzeiger" of Springfield is Lincoln's property, contract grants Canisius free use of paper for publication purposes on condition that paper supports Republican party. Contract with Theodore Canisius, [30?] May 1859, CW, 3:383.